Who doesn’t love a good old German feast? 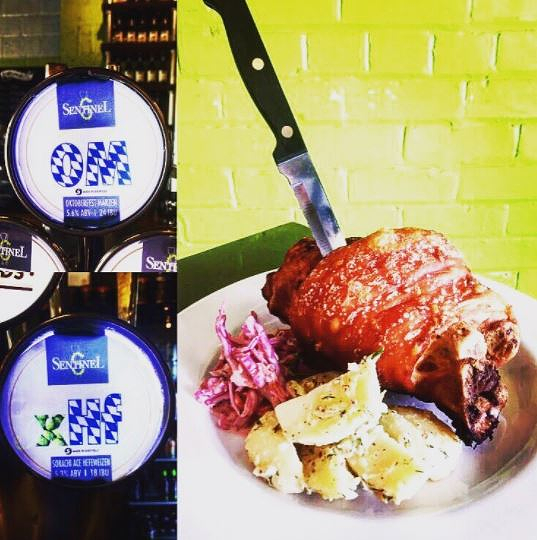 Thankfully, the guys at Sentinel Brewing Co will be able to sort you right out this October, as they’re offering a tasty roast pork knuckle, Bavarian potato salad, beer cellar coleslaw AND an Oktoberfest pint for just a tenner! That’s right, you can treat yourself to some German grub and wash it down with a pint of Sentinel’s OM: Oktoberfest-Marzen or xHf: Sorachi Ace Hopfenweissebier and you’ll only be £10 down.